Bioware: Where Are You Taking Us? Bioware is one of the few companies in our chosen hobby that has built a reputation for quality, no matter the game. Their gamer cred is at a level that most developers would kill for. Now I see many pundits crying doom and gloom for their once beloved developer and the cruel business deadlines imposed by their evil EA overlords. 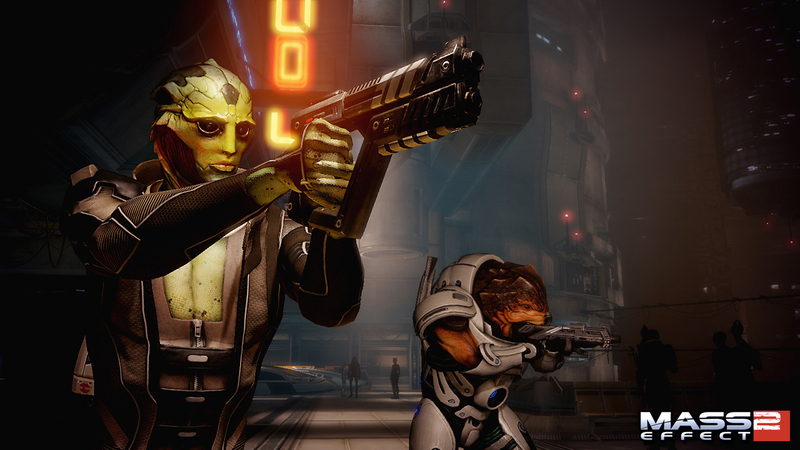 Most of the recent criticism, including from our own Mark and Jason, has come from longtime fans who “miss” the level of depth the venerable launch products of Bioware’s most popular IPs had. I am speaking of not just Dragon Age II but also the sequel to Mass Effect. Both sequels had a fair amount of hate spewed their way compared to their predecessors. I feel this feedback was given somewhat unfairly– perhaps moreso for Mass Effect 2 than the Dragon Age sequel. These two series’ original games were top tier products that I loved for different reasons, but I have also found quite a bit I like about what Bioware has changed in those games’ sequels. What most commentators fail to grasp is Bioware is moving beyond making just games and are now producing stories. The developers have invested in a decent graphics engine that has and will carry them through several products. This fact alone helps shrink development times, and many reviewers seem to gloss over this. I agree Dragon Age II could have used a few more environments, but unlike the first game, the second one isn’t a story of events so much as characters. In the same vein, I believe Bioware is attempting to transform the Mass Effect series along the same guiding principles; almost all Bioware’s updates in the sequels have reworked gameplay mechanics in a way that minimizes their importance and brings character interactions to the forefront. After playing through all four games I have to say I am interested in what happens next in both series. The interplay between the factions introduced in the Dragon Age: Origins, which was given much more depth in the second installment, makes me want to see a huge clash between the Tevinter Imperium Mages and Andraste’s followers in a third installment. I also liked the story spanning a longer period of time: it felt as though your actions impacted your surroundings to a greater extent. Mass Effect had the same progression; the layer of nuance introduced in some of the events hinted at in the first game make me ready to see how the story ends when the Reapers finally arrive in full force. I agree the Geth were such great antagonists that the Collectors failed to live up to that standard, but the sequel, overall, had a better story in how it fleshed out of Cerberus and the Krogan genetic plague . Getting back to the other sequel– the addition of the friendship/rivalry mechanic in Dragon Age II (which replaced the more familiar love/hate gauge from the other games) really gives you greater freedom in how you play your character. In Dragon Age II, you no longer have to worry how a particular NPC will react to your dialog choices, as compared to the older game’s system that incited a fear of choosing a “wrong” response that could lead to losing a party member for the rest of the game. 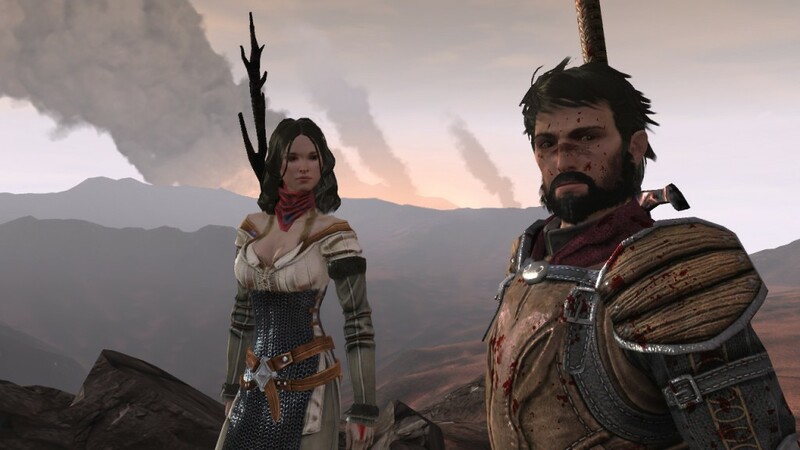 Dragon Age: Origins’ story was widely hailed because of some of its throwback game mechanics and nostalgic design. And there’s the point: many of these design decisions were dated and hindered the story progression at times. In DAII, the inventory system is better, although I agree it would have been nice to have some more cosmetic changes to your companions over time. The crafting and rune system is also more streamlined and now has a more tangible effect on the game because of it. Combat is more satisfying not just from the speed but also the staged spawning of the enemies, calling for more thought in using your skills as opposed to just hitting all your main damage skills in order, then rinse and repeat. Bioware has not made a “perfect” game, nor will they ever, but I do feel they are pursuing a vision of story-based gaming that is more engaging and readily transports our imaginations into our digital avatars. Helping to create those rare moments where games invoke the real emotional responses eagerly drives many of us on to their next game. And anyone who hates on Mass Effect 2 for playing like a good cover shooter rather than the badly warped semi-shooter semi-turn based semi-crapfest that was the first game. Granted at the time Mass Effect 1 felt like it played awesome. But after playing 2 and going back to one, Jesus H. Christ… I just don’t understand how anyone can complain about the lack of a nonsensical inventory system and unresponsive combat mechanics. Thanks Julien, I agree that Orgins story was epic. I thought it didnt scale too well as I got factions on my side for the final battle everyone still didnt know who the hell I was but I saw that gave the freedom to allow you to do them in any order the player preferred. I think with the way the story being told by the dwarf to someone about events that were really already in the past the whole game was a prologue to Dragon Age 3. Which also brings up my favorite part of the game when he tells about the group going to his insane brother’s manion and you play through the scene of him embellishing how heroic his action were. That alone sold me on him as my favorite NPC.